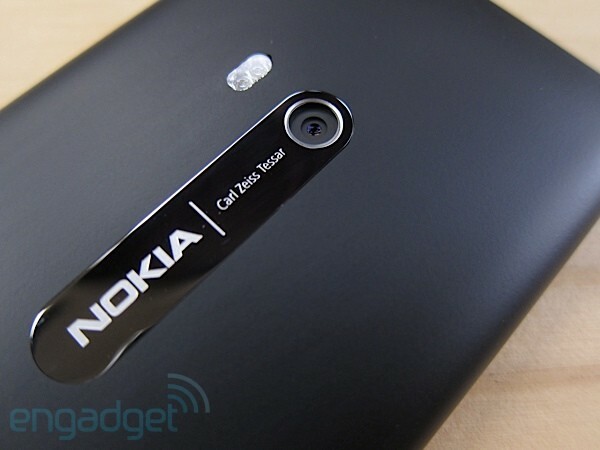 Engadget’s Nokia N9 review, “The most beautiful phone ever made”. Love at first sight — this is possibly the most beautiful phone ever made. It manages to be elegant by virtue of its minimalism yet remains unmistakably Nokia. Some usability niggles, too — like most Nokia phones, the camera app returns the scene and flash settings to default each time it’s started, and there’s no automatic macro (you’ll have to remember to set it manually to snap closeups). breath of fresh air it will leave you gasping — that is, until you remember that you’re dealing with a dead man walking. It’s impossible to dismiss what’s been achieved here — a thoroughly modern, elegant, linux-based OS with inspired design that’s simple and intuitive to use, all developed in house by Nokia. several major online services are seamlessly integrated into MeeGo. We’d be foolish not to mention the delightful virtual keyboard at this point — it offers unobtrusive (and defeatable) audible and tactile feedback, plus automatic word completion, when enabled. MeeGo generally feels quite snappy considering it’s running on mid-range hardware. Memory management and multitasking appear to be solid, even with upwards of 20 cards in the open applications view. plenty of room left for optimizations. arguably the first competitive flagship phone to come out of Espoo since the launch of the original iPhone — a stunning feat when you consider how far behind the company was even just a year ago. given the choice, we’d pick MeeGo over Mango, despite its weaker ecosystem. Thanks mo_ep, Souvik and jklubi for the tip!